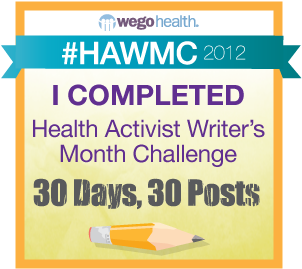 I'm participating in the WEGO Health Activist Writer's Month Challenge. Today’s topic: Quotation Inspiration. Choose a quote that inspires you – positively or negatively – and gets you thinking. This quotation is on my blog because it speaks to where I live. Sorrow has carved me open. 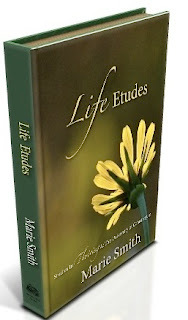 Some people say life's troubles have made them stronger. Or that they have become a better person because of enduring trials. This hasn't been true for me, although I often wish it was. It sounds more uplifting than my own experiences. The cliche says, "That which does not kill me makes me stronger." Suffering has taught me the opposite. That which does not kill me may make me wish I was dead. Suffering has taught me what the word weeping means. Not as an abstraction, but learned through spending months in constant tears. Pain has taught me where I am weak and vulnerable. I know what it feels like to be broken. Sometimes, having a rare illness sets me apart into a darkness beyond loneliness. Loneliness is next door to despair. It's tempting for me to fall into despair. 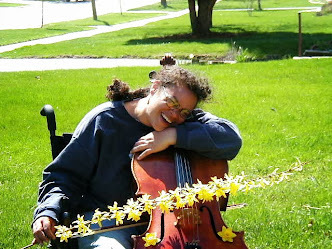 I fight despair by looking for joy in my life. This is why I call my blog Joy Benchmarks. We use benchmarks to measure valuable things. A benchmark for a successful school year is doing well on final exams. A benchmark for a successful blog is X number of page views, or comments. Often benchmarks are achieved by striving forward toward a goal. Joy Benchmarks are achieved by looking for the tiniest gifts in our lives and celebrating them all. Having been in the dark, I am able to discover the value in the tiniest ray of light. Today I didn't have a scan. I'm not waiting to have surgery. I'm not waiting for test results. I don't have cancer again. All surgical incisions have healed. Today is a good day. In fact, I've gone 12 hours without having my blood sugar go above 120 or below 90. 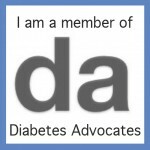 As someone with diabetes, that is nothing short of amazing. I've had scans. I've had surgeries. I've waited for test results. I've had cancer. I've had surgical incisions. I've had a low blood sugar of 47 this week. Compared to those lousy benchmarks, today is a good day. Heck, today is an awesome day! I love this quote. Even better, I love living this quote. My life is full of joy benchmarks. It's my honor to share Joy Benchmarks with you. This post was written from a blog prompt for April 2nd from The Health Activist Writer's Month Challenge at WEGO Health.